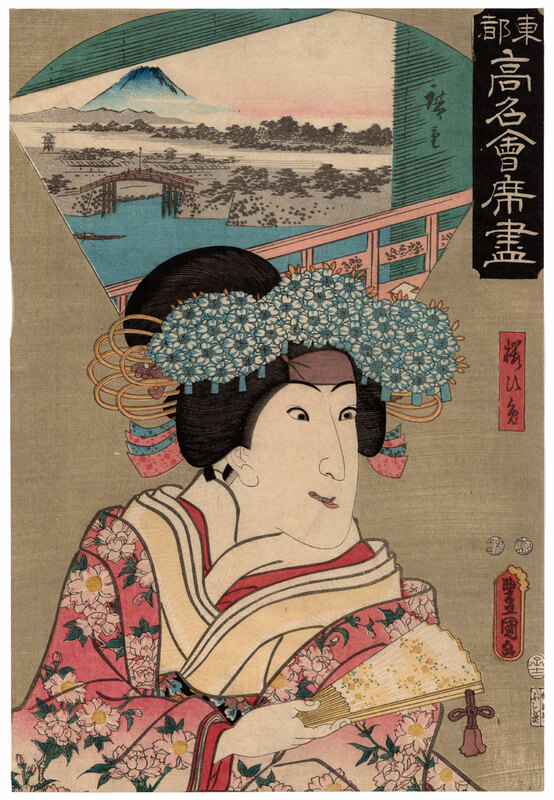 Extraordinary collaboration between the two famous artists Utagawa Hiroshige (歌川広重) and Utagawa Kunisada (歌川国貞). Of the first the landscape visible on the top of the work and depicting the beautiful view of Mount Fuji (富士山) from the terrace of the Sanmonjiya restaurant (三文字屋). 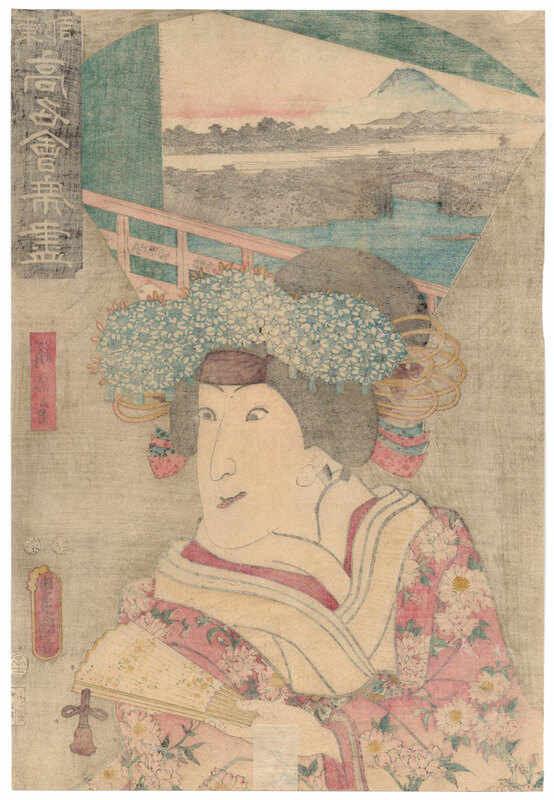 Of the second, instead, the depiction of the actor Iwai Hanshiro V (五代目岩井半四郎) who plays the role of Princess Sakura (桜ひめ), the reincarnation of the young Shiragiku (白菊) who, in the kabuki play "Sakura Hime Azuma Bunsho" (桜姫東文章), in his previous life had prayed to be reborn as a woman in order to legitimize his love story. The precious woodblock print made in 1852 by the publisher Fujiokaya Keijiro (藤岡屋慶次郎), owner of Shorindo (松林堂), is taken from the series "Famous Restaurants of the Eastern Capital" (東都高名會席盡). 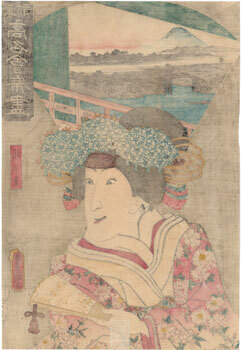 The print on Japanese washi paper (和紙), despite the right signs of aging, is in very good general condition.